Generous Virginia-Highland residents donated four car-loads of toys to the annual Zone 6 Atlanta Police Department holiday party for kids held on December 17th. 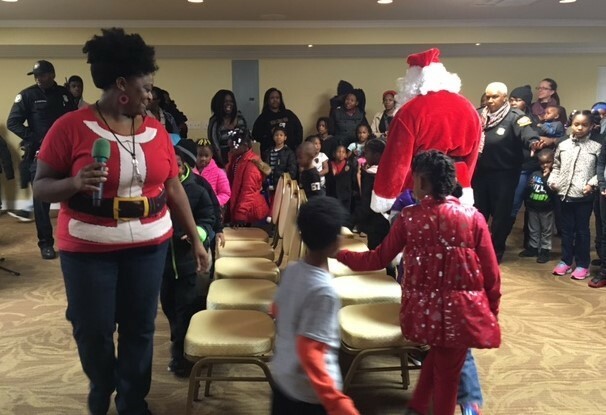 This year Zone 6 doubled the number of children invited from 50 last year to 100 in order to provide toys for more children. 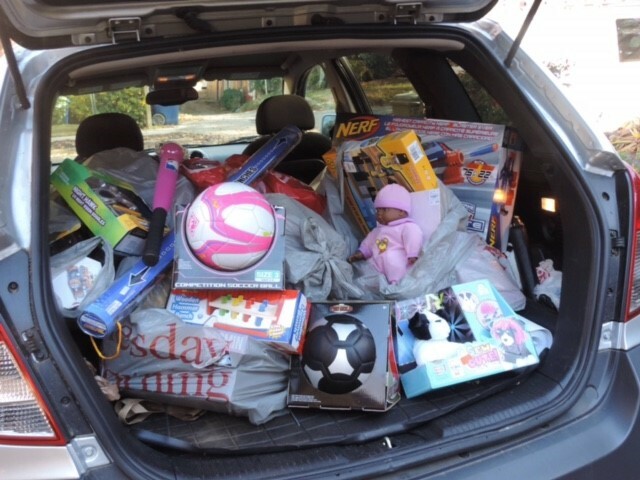 VaHi resident John Wolfinger once again provided a drop-off point on his porch and transported toys to the precinct (see photo below). Kay Stephenson and Eleanor Barrineau of the VHCA Board and Safety Committee volunteered at the event, which included a hot meal, activities including tours of various police and fire vehicles, games, and musical presentations by current and retired police department employees. 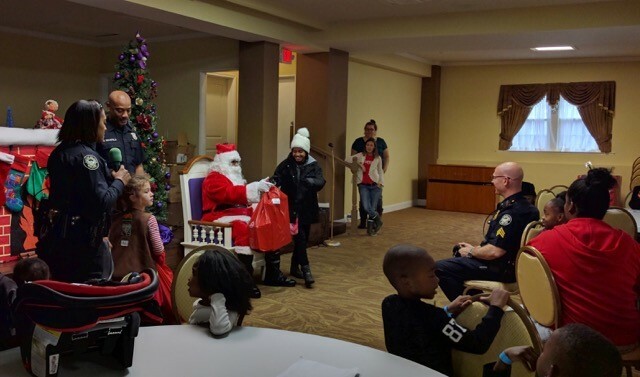 It was great to see the kids interacting with the many police and fire department officers who were participating – a great example of police-community relations. There were enough toys to provide for all of the children – and any toys left over were to be donated to parties hosted by Zones 1 and 3. This entry was posted in news and tagged 2016, apd, toys, vhca by John Becker. Bookmark the permalink.